Refugee Camp Solar CCTV Trailer Night Vision, Solar CCTV Trailer Airport Security IR Night Vision, Video Surveillance Solar CCTV Trailer, High Resolution Weatherproof digital video camera with IR Night Vision, Telescope digital eyepiece camera with IR Night Vision OEM Configurable. Used Through Out The United States and World wide by FEMA Federal Emergency Management Agency, DHS Department of Homeland Security, Disaster Recovery Efforts, Red Cross Disaster Relief, European Union, EU Refugees Camps, NATO North Atlantic Treaty Organization, Disaster Preparedness & Recovery. Mobile Surveillance Trailer Solar CCTV Trailer Night Vision, Solar CCTV Trailer Airport Security IR Night Vision, Video Surveillance Solar CCTV Trailer, High Resolution Weatherproof digital video camera with IR Night Vision, Telescope digital eyepiece camera with IR Night Vision OEM Configurable. Used Through Out The United States and World wide by FEMA Federal Emergency Management Agency, DHS Department of Homeland Security, Disaster Recovery Efforts, Red Cross Disaster Relief, European Union, EU Refugees Camps, NATO North Atlantic Treaty Organization, Disaster Preparedness & Recovery. 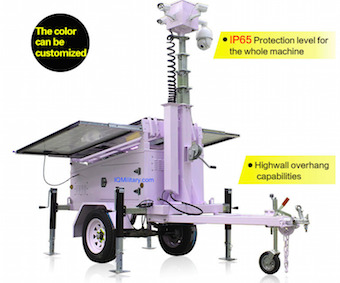 Job Site Solar CCTV Trailer Surveillance, High Resolution Weatherproof digital video camera with IR Night Vision, Telescope digital eyepiece camera with IR Night Vision OEM Configurable. Used Through Out The United States and World wide by FEMA Federal Emergency Management Agency, DHS Department of Homeland Security, Disaster Recovery Efforts, Red Cross Disaster Relief, European Union, EU Refugees Camps, NATO North Atlantic Treaty Organization, Disaster Preparedness & Recovery. IP Camera & Radio w/Backup - IP Video Anywhere! IP Camera and Radio with Backup - The Ultimate Surveillance Solution IP Video Anywhere! IP Camera & Radio w/o Backup - IP Video Anywhere! 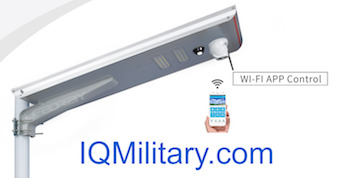 IP Camera and Radio w/out Backup - The Ultimate Surveillance Solution IP Video Anywhere! IP Video Receiver/Radio - IP Video Anywhere! IP Video Receiver/Radio up to 97 cameras- The Ultimate Surveillance Solution OK-IP Video Anywhere! Solar Powered IP camera Rugged - IPVideo Anywhere! Solar Powered IP camera Rugged, Stand Alone unit (Off-Grid) Camera, Radio and Solar System - The Ultimate Surveillance Solution IP Video Anywhere! IP Camera w/Backup Rugged - IP Video Anywhere! IP Rugged Camera and Radio Backup - The Ultimate Surveillance Solution IP Video Anywhere! IP video Camera Rugged - IP Video Anywhere! Rugged Camera and Radio w/out backup - The Ultimate Surveillance Solution Ok-IP Video Anywhere! IP Video Receiver Rugged - IP Video Anywhere! IP Video Receiver Rugged Base Radio - The Ultimate Surveillance Solution OK-IP Video Anywhere! Refugee Camps Solar Solar CCTV Trailer Airport Security IR Night Vision, Video Surveillance Solar CCTV Trailer, High Resolution Weatherproof digital video camera with IR Night Vision, Telescope digital eyepiece camera with IR Night Vision OEM Configurable. Solar cctv Trailers 6-150ah batteries 3-300 solar panels Solar CCTV Trailer Surveillance, High Resolution Weatherproof digital video camera with IR Night Vision, Telescope digital eyepiece camera with IR Night Vision OEM Configurable. Used Through Out The United States and World wide by FEMA Federal Emergency Management Agency, DHS Department of Homeland Security, Disaster Recovery Efforts, Red Cross Disaster Relief, European Union, EU Refugees Camps, NATO North Atlantic Treaty Organization, Disaster Preparedness & Recovery. Surveillance Trailers, Solar CCTV Trailer Surveillance, High Resolution Weatherproof digital video camera with IR Night Vision, Telescope digital eyepiece camera with IR Night Vision OEM Configurable. Used Through Out The United States and World wide by FEMA Federal Emergency Management Agency, DHS Department of Homeland Security, Disaster Recovery Efforts, Red Cross Disaster Relief, European Union, EU Refugees Camps, NATO North Atlantic Treaty Organization, Disaster Preparedness & Recovery.